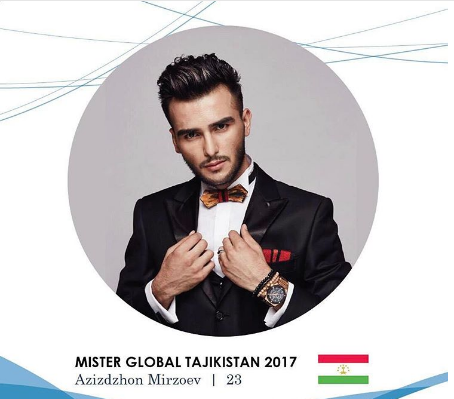 Azizdzhon Mirzoev is Mister Global Tajikistan 2017. This is the first time Tajikistan will participate in the Mister Global Pageant. He is a 23-year-old model who stands at 190cm. His ambition is to be able to work globally. This is also his first visit to Chiang Mai, Thailand and he is very excited about the trip and competition.